We have talked before about the benefits of learning a second language for your personal and professional life. We have also talked about how, for native English speakers, there is a benefit to know the second most popular language in the world: Spanish. Out of all the languages in the world, Spanish is the one that can be very easy to pick up on, yet one that can be a little difficult to master. Despite being a universal language in most Latino/Hispanic country, it is one that’s has a specific word usage and lingo depending on the country that can make things confusing. Despite that, if you can focus on learning the Spanish of a specific country, you will find that there are ways you quickly catch up on it and learn the language in probably a more effective way than trying to learn it in a classroom setting. Like they tend to say: practice can be the best master. 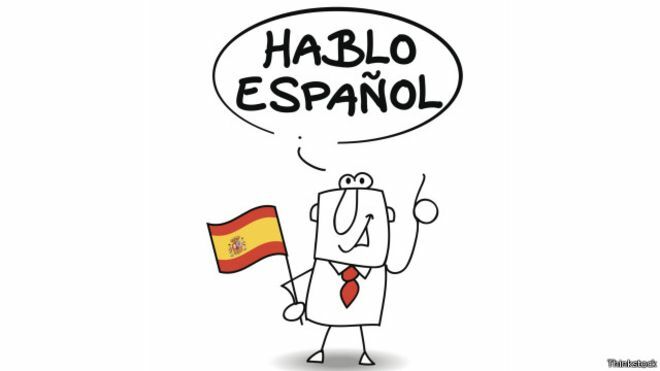 There are quite a few tricks you can try out to get a head start towards the Spanish language. One that is very common and may sound silly, but it actually works is the fact there are almost 3013 English words that, just by changing a couple of letters at the end, will teach you the Spanish version of that word. For example, words that end with the last letters “IC” like Plastic, Traffic and Tropic can have an “O” added in the end and will basically become Spanish words and you know what those words will be. Another way is changing the words that end on “-TION” like Reservation, change the last letters to “-CION” and that already gives you the Spanish version of that word pretty instantaneously. Other words that can change easily are words that end on “-ATE”, where you only have to change those three letters to “-AR”, and that gives you the word. It’s a very easy trick that can get you started immediately on a lot of words that you’ll basically know the meaning to. It is a neat trick. Once you know some words, another trick to learn is how to internalize a word. In this case, you can think of those specific words like let’s say the Spanish version of “beach” (“Playa”) and think of English sentences you could use the English version of that word. Then just swap the English word for the Spanish word, repeat your sentences a couple of times that way so you can start internalizing the word. One of the best ways to know you are improving with the learning of a new language is when your brain automatically thinks of a word without you having to mentally translate a word from English to Spanish. Doing this can help train your brain to automatically switch languages on the fly, which will make you a more fluent and natural speaker. Once you start internalizing words, start thinking of important sentences you think you’d use if you were to travel to one of this Spanish speaking countries. Using them and listen to the people speak to you can help ingrain words and phrases to your brain through proper contextual use that can help you learn much quicker than a class. Once you internalize words, try reading Spanish books/news/etc. and watch Spanish TV shows and Movies to help ingrain the words constantly in your mind. Finally, make sure you can find a Spanish coach that will help you in both good and embarrassing moments, so you can gain the confidence as you learn Spanish. Do this, and you’ll find yourself speaking the language faster than you think.